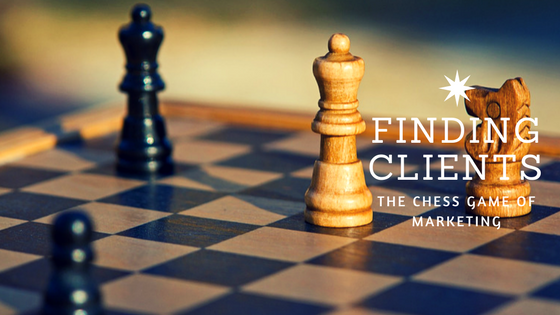 For many of us, finding clients is the only thing standing between us and success. You may feel your training is solid, your skills are dialed in, and you have accumulated some fantastic successes. Given that, your practice should be full and keeping you busy, right? If only practice building were that easy. Regardless of your experience, you still need to market yourself in order to keep a full practice. And for many coaches, marketing is a difficult thing. We are taught to be humble, to focus on others, not to brag and not to search for the spotlight. What’s interesting about that is that those are exactly the opposite of the things needed in order to effectively market yourself and build your practice. You need to tell people what makes you special, why you are amazing, and what would make them want to go to you for help. You need to present yourself as an authority in your area of expertise, you need to toot your own horn and sing your own praises a bit. Because I’ll be blunt…no one else will do it for you. At least, not enough to fill your practice. Now, maybe you have been able to fill your calendar so far with referrals from friends, colleagues and clients. If so, that is fantastic! That is a true gift and something to be proud of. But referrals alone will not fill your practice. I have seen way too many people hope to fill their entire practice by word of mouth alone. It’s nice to think it will work, and often times it can get you started. It might even fill up your calendar for a little while. But eventually the same thing always happens. The calendar dries up. Coaching slots go unfilled and your practice begins to suffer. Doesn’t matter the industry or the specifics, if you rely on word of mouth and you are wanting to grow your practice, this is your almost certain fate if the growth of your practice is to rely solely on word of mouth. You can market. Now don’t worry, there are many ways to market your practice, and they don’t have to be difficult or expensive. This article will start a series of articles that will address practice building as it relates to coaches. We will explore different things you can do to build your practice with confidence and integrity, attracting those you want to help most. Today let’s talk about crafting your message, figuring out what you want to say and what you want people to know about you. You’ve likely given a lot of thought to who you want to help and how you can help them. But have you thought about what they want to know about you before they let you help them? This is a question that gets overlooked by most coaches who are busy trying to fill their calendar. Imagine how much easier it is to get someone to schedule a session with someone they know than with someone they don’t. Here are 5 questions to ask yourself that will help you create a clear marketing message and allow you to put your best foot forward when marketing for new clients. If you had to describe yourself in one word, what would that be? The secret here is to choose one word only, not a paragraph, or even a sentence. A single word that captures your essence. The true core of who you are. People want to know that. They want to know that the person they are working with knows who they are. Why do you like working with the issues you work with? Do you have a personal connection to it? Are your core values in line with the issues you help others with? Clients like to know what you stand for, are you on the same side, do you value the same things they do. How many hours a week do you want to work with clients? Why did you choose that number of hours? What are you working for? Are you wanting to spend your off time with family, traveling, reading…what activities are working to enjoy? If your client was to refer to you a colleague, what would you want them to say? What one sentence would you want them to share with their friends and family about you? This will help clarify your core message. What got you started helping this population? What is it that originally got you started in the field you’re in? You’ve identified why you like it, but why did you start? What’s your origin story for your work? Take some time, sit in a quiet area where you feel inspired, and allow yourself to answer these questions. Write down your answers. Revise them. Make sure that they resonate with you. As we go through the process of creating your marketing message, these answers will become an integral part of your marketing message. Take your time. Commit to honesty and transparency. Your potential clients will spot a snow job right away. Next week I’ll share my answers to these questions with you as we move forward through creating your marketing message and building your practice. Let me know if you have any questions or need a sounding board as you’re working through these questions. I would love to hear how your experience is.